Of beans you can prepare a large number of delicious dishes, but to preserve its unique and piquant taste, you must know how to properly and quickly cook. Its just a pre-soak, but this method requires a large investment of time. There are several ways in which you can cook beans in a short period of time. Pour the beans very cold water and place over medium heat. Do not cover the pan with a lid, otherwise it will become a dark and unpleasant shade. Once the beans starts boiling, add 3-5 tablespoons of ice water. Repeat procedure up until the beans become soft. Salt only at the end of cooking, as salt makes the water very hard, which slows down the cooking process. To make the beans elastic, and its soup is rich and hearty, add water 3-5 tablespoons sunflower or olive oil. To quickly cook the beans , pour beans with cold water and place on medium. As soon as it boils, drain the broth, pour cold water and put on fire for boiling. Repeat this process until cooked beans. For quick cooking of beans put into the water a little soda (on the tip of a teaspoon). At the end of cooking neutralize the action of soda, adding to the broth a few drops of lemon juice. Do not rush and take out the beans prematurely, even if you have absolutely no time for cooking. The fact that undercooked beans contain a toxic substance that is extremely toxic and in large amounts can cause goiter or lung toxicity. The consequences are not terrible, but quite unpleasant. In any case, do not risk the health and well-being of their loved ones, and it is better to wait a little more time, and the beans will be completely ready. The variety of beans has a significant importance in the process of cooking. Cooking time colored beans (pink, yellow, blue) requires much less than whites. If it is large, it is a sign of elite class, and therefore to cook it much faster. After boiling beans, drain it on a sieve and drench with water at room temperature. The skin may be a little crack, but the beans will acquire a nice elastic consistency. 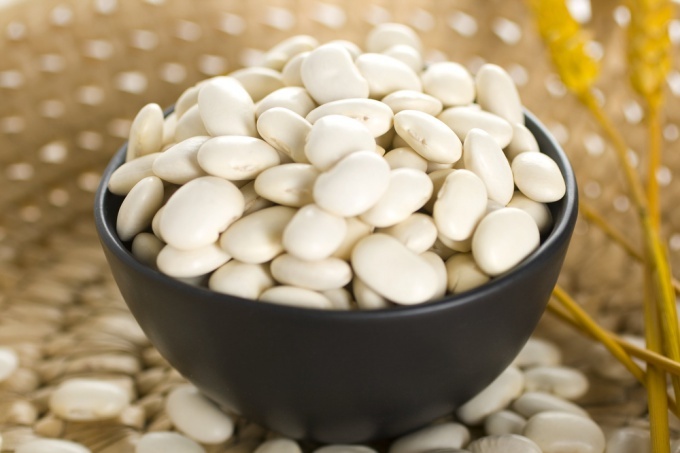 White beans – a rich source of protein, folate, phosphorus, magnesium, iron and vitamin B1. It can bake, grind into the ground for spreading on bread or for dipping in it, to add to soups, stews and salads. To beans well absorbed, it is recommended to soak. But there is a way to accelerate the process of soaking. 1. Pour the beans onto a plate, move it. 2. Put the beans in a colander and rinse thoroughly with warm water. 3. Place the beans in a large pot. Add water to cover the beans. 4. Over medium heat bring beans to a full boil, then turn off. 5. Let beans stand in water for an hour. 6. Drain the water from the pan. There are more than 200 varieties of beans. Legumes and beans, black and white, purple and red. Eat beans food, is the stern, and sometimes even beans decorative. 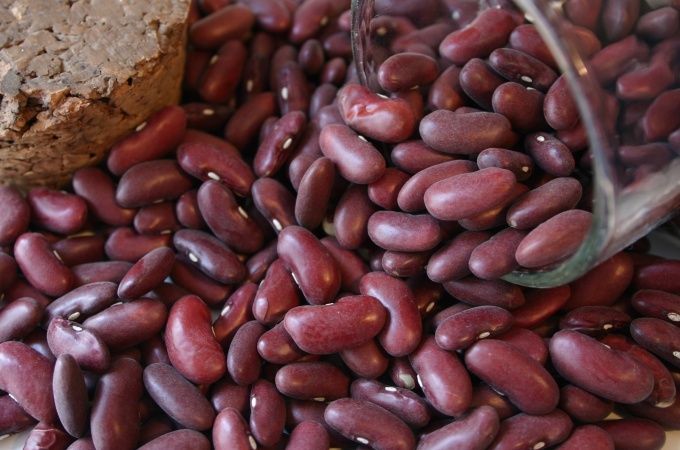 And of all the species, varieties and variety-types the most popular in the world red Kidney beans (Kidney). Perhaps because it is useful for the body in General, and to the figures, in particular. Or because the protein it competes with meat and is an inseparable attribute of the vegetarian table. And certainly last but not least from the fact that it has a wonderful nutty flavor, perfectly combined with spices and unusual tasty. Pour the dried beans on a wide horizontal surface and take it apart – separate the garbage, pebbles, sub-standard beans. You decide on wrinkled skin, very dark or very bright, the General background of the skin and other possible flaws. Put the beans in a colander and rinse under cold running water. Now you need to soak the beans overnight. Pick a wide and deep saucepan, put into the rinsed beans and top up with water. Water should be two times more than beans. The next day, drain the water and pour fresh, in the same proportion. Put the saucepan on the stove and bring the water to a boil. Reduce the flame to moderate, and simmer at least one hour. Then follow your recipe.So, for example, in the soup you will need to put beans, boiled until soft, and lobio (beans should be soft after boiling order. If you don't have time for soaking the beans, try another method. Dial in a large pot of water and bring to the boil. Carefully pour the beans from the colander into the boiling water. Close the lid and allow the water to boil again. After two minutes turn off the heat and without opening the lid, leave the beans for an hour. After an hour remove the lid and stir the beans. Return pot to heat and simmer to desired doneness. Never salt the beans before cooking. This can make it hard. Beans goes well with onions, garlic, tomatoes, peppers, various herbs. Beans, boiled until soft, can be stored in the refrigerator up to three days, in the freezer for up to six months. Beans from a can does not need preprocessing. 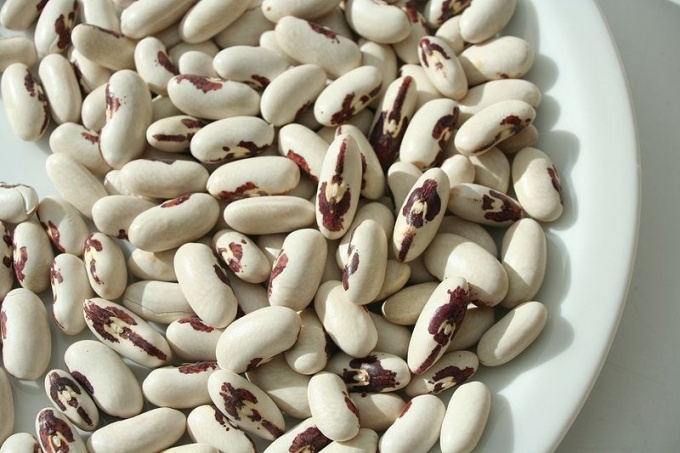 Beans – an excellent substantial product, from which prepare lobio, soups, sauces and salads. 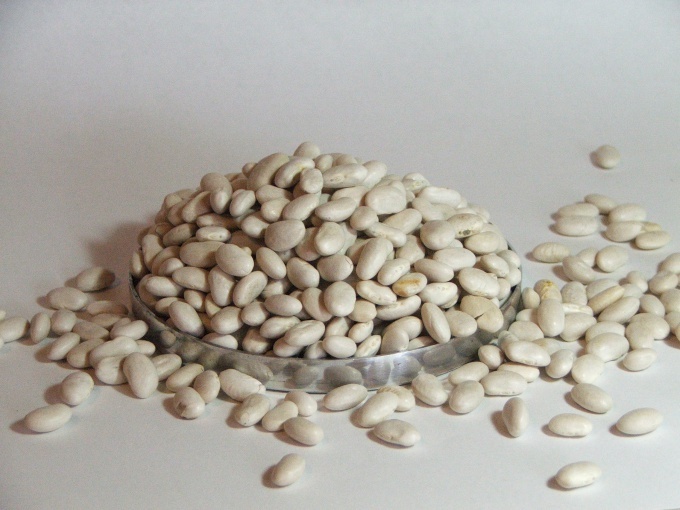 Some recipes require the addition of canned beans, but often it is dried beans, which should be well soaked before cooking. There are three ways to soak beans: long, rapid method and instant method of cooking. This is the most common and generally accepted method to soften the beans before cooking. Pour the desired quantity of beans in a deep bowl or saucepan and pour cool water on three fingers above the level of the beans. Leave it like this for 8-12 hours, e.g., overnight. Long soaking of the beans actually promotes germination, and it can significantly reduce the likelihood of gas in the body after its consumption. This method allows to reduce the process of soaking beans to 1-2 hours. Pour into the pan of water and put on fire, bring water to a boil. Add the beans and let it simmer for three minutes. Remove beans from heat and let stand in hot water for 1-2 hours. Undoubtedly, red and white kidney beans most likely will require at least the Express-method of soaking. However, there are recipes and kinds of beans that go without soaking. For example, asparagus or green beans you can just throw in soup or sauce. If you boil a soup bone, you can red or white kidney beans immediately send in a saucepan with the bone cooking for 3-4 hours. That will be quite enough to obtain a good meat broth and boil nezamechena beans. Try not to leave the beans soaked in the view longer than 24 hours. 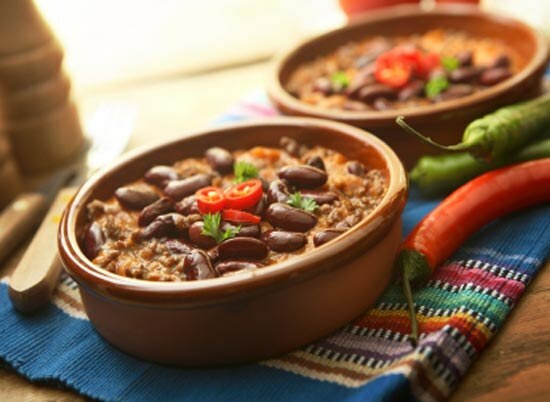 If the beans soaked in water longer than a day, it can begin the fermentation, but it will significantly reduce its quality and flavor after cooking. When soaking the beans in cold unboiled water, monitor water quality, it is better to use distilled water. Otherwise, salts and chemical elements penetrate the beans and will prevent her cooking, making it brittle and hard. Instead of water for soaking the beans will suit any beer. A special taste from the beer will give the beans an interesting shade, perfect for lobio. Soaked beans should start to cook in cold water over low heat, without disturbing, and no salting ahead of time. Bean soup and mashed potatoes and did add salt after cooking food. White, red or green beans you can cook dozens of different dishes. From her cook soups, make side dishes, casseroles, salads, fillings for cakes and hearty meals in pots. Having mastered a few new recipes, you will definitely include them in everyday family menu. lemon peel on the tip of a knife. The most simple and very satisfying dish – white beans, fried in oil. Soak the beans overnight in cold water. In the morning drain it in a colander and put the pan in pre-heated butter. Add salt and stir the mass with a wooden spatula, fry until soft. Chop the fresh coriander and Basil, pour it into the pan and stir into hot beans. Serve as a side dish or as a separate dish. For a snack you can prepare green beans in tomato sauce. Finely chop the onion and fry it in preheated oil. Put in a pan with fresh or frozen green beans. Close the lid and cook the mixture for a few minutes, frequently shaking the pan. Add the onion-bean mixture, tomato juice, pepper, salt and a pinch of sugar and simmer until tender. Add sliced tomatoes and cook for a couple minutes. Fill the dish with lemon juice, stir and refrigerate. Very nutritious and easy meal – bean soup. Try a simple version of the Italian style. Soak the beans overnight in cold water. The next morning, add vegetable oil, pounded garlic, sage, chopped tomato and celery, add salt and pepper and place on the stove. Simmer the soup over moderate heat until soft beans. Serve with white bread. For a hearty family meal prepare red beans in a spicy sauce. Boil beans until soft, drain it in a colander. Slice the onion into thin rings and fry in preheated vegetable oil. Ham chop cubes, fry together with the onion and mix with beans. Season the dish with pepper, salt and lemon zest. Put the beans onto plates, sprinkle with chopped green onions and serve with boiled potatoes and tomato sauce. White beans are a must in the diet as it has many useful properties. It contains large amount of vegetable protein, which is remarkably absorbed by the body. Doctors recommend to maintain health is to eat in a week at least 3 cups of legumes. Sort through the beans, remove damaged beans. Thoroughly rinse the beans. Pour the beans with triple the amount of cold water and leave for 8 hours. It is best to soak them overnight and in the morning to prepare. Quick method for soaking beans: put the washed beans in a saucepan, cover it with water, put on fire, bring to a boil, boil for 1 minute, turn off the heat and leave for an hour. Drain and put the beans in a saucepan large volume. Again fill it with water, and the water level should exceed the beans by 5 cm, Add Bay leaf and chopped onion, bring to a boil, remove the foam. Reduce heat, cover the pan and simmer the beans for approximately 1.5-2 hours until, until it becomes soft. Regularly check the water level and if necessary add some cold water. Remove the onion and Bay leaf, add the prepared beans, salt and pepper. Boil white beans the second method. Wash beans, soak it is not necessary. Pour it into the broth, add water, Bay leaf, ham, sliced onions and carrots. Cover the pan, wait until boiling and simmer on low heat for 7-8 hours. At the end of cooking, remove Bay Lis, put the margarine, salt and pepper. Tocook white beans in a slow cooker, put pre-soaked beans in a bowl, cover with water to 1.5 liter, select the mode "Stewing" or "Soup". 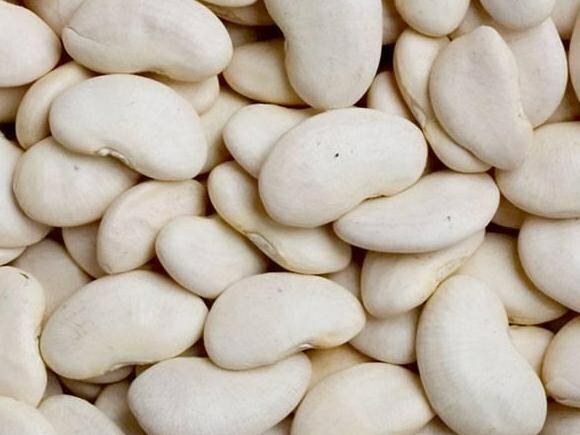 Cook white beans 1.5-2 hours. In a slow cooker you can cook beans without soaking, in this case, water will need at least 2 liters, and cook the beans need at least three hours. To white beans not darkened, cook it with the lid open. During cooking it is recommended to add in white beans a little vegetable oil to improve the taste of the finished dish. It happens that the time for cooking a particular dish is sorely lacking. For example, cooking beans requires pre-soak for 7-12 hours. So is it possible to speed up the process andcook beans, no soaking it for such a long time? 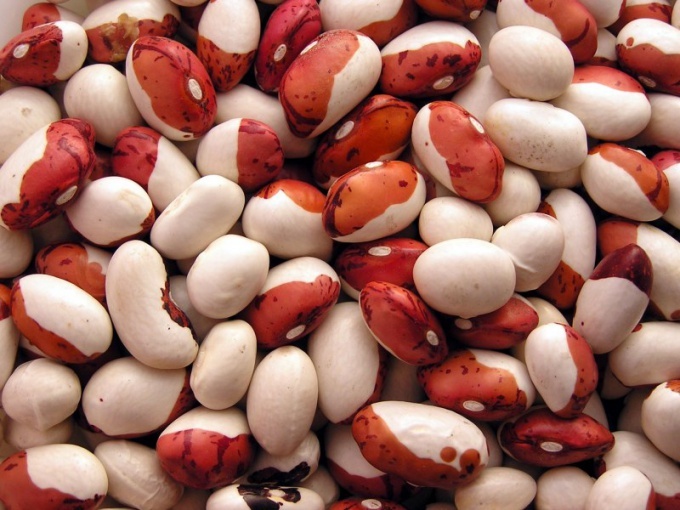 For quick cooking beans without soaking it first, you need to carefully sort, removing damaged beans, debris and dust. After that it is washed under running cold water, dried and poured into a deep large pot, which is two-thirds filled with water. The pan is on medium heat, wait for the water to pokipala fifteen minutes, drain all the water and pour beans with cold clean water. After changing the water pan must again put on fire, wait for re-boiling more time to replace the water and continue to boil the beans for thirty to forty minutes. Also beans can be cooked without soaking it another way – changing the boiling water is not completely, but just adding a couple of tablespoons of fresh water for the first stage cooking (three-four times). Beans will cook faster due to the temperature drop in the pan. You can also sort and rinse beans, pour it with a small amount of cold water and put to boil on a moderate heat. After boiling the water you need to remove the pan from the heat and tightly cover it with a lid and leave to infuse for an hour. Upon expiration of the beans again, put on the stove and cooked in the usual way. If you have a little time, beans can be soaked in a small amount of time. For this it is necessary to fill in a large pot with water (proportion 1:3), bring to boil on low heat, then cook for five minutes. After the beans are removed from heat and infused in its own broth for three hours and then cooked for another hour until fully cooked. Most quickly without pre-soaking, preparing frozen beans, which is boiled on a moderate fire and eaten after fifteen minutes after the start of cooking. White variety, which needs no soaking, cooks for one and a half hours, filled with cold water 3 inches above beans beans. Add the salt should be only at the end of cooking. To not pre-soak the beans evenly and quickly failed, the water in the cooking process, it is desirable to replace at least two times. To determine whether the boil for the beans can for its softness, the presence of which is necessary, since undercooked beans contain a hazardous substance.